Philimon told deputies she found her son, Raydyn Jones, unresponsive at about 2:55 p.m. on Monday afternoon. 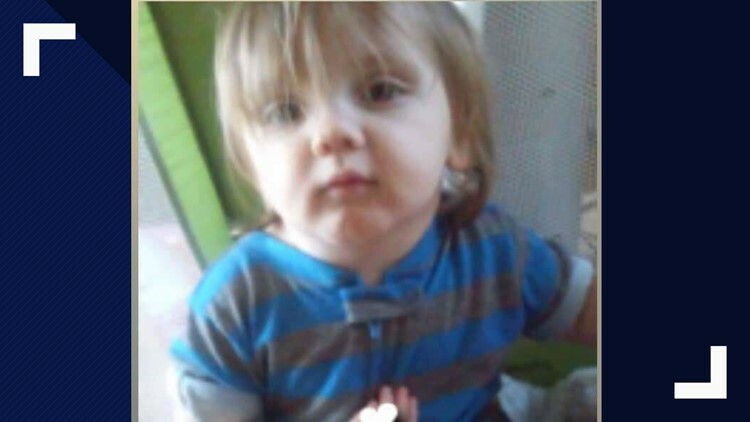 ORANGE, Texas — The mother of an 18-month-old Orange county boy who died Monday has been named as a person of interest in the investigation of his death. Raychyl D. Philmon, 32, of Mauriceville, who is currently in custody on unrelated drug charges, was named by the Orange County Sheriff's Office on Friday afternoon in a news release. Philmon told deputies she found her son, Raydyn Jones, unresponsive and brought him to Baptist Hospital Orange on Monday afternoon, the release said. The emergency room at Baptist Hospital Orange has been closed since January 2017. Preliminary autopsy reports revealed that the child, who was transported to Christus St. Elizabeth Hospital in Beaumont where the cause of death was ruled a suffocation, the sheriff's office said. Philmon was arraigned by Orange County Pct. 2 Judge Jenkins and bonds were set at $7,500 for the state jail possession charge and $30,000 for the 2nd degree felony possession charge, Orange County detective Janois Grizzaffi said in a release Saturday afternoon, March 24. Sheriff's Office investigators are continuing to gather evidence in the case to charge "responsible person or persons" in Jones' death, the release said. A Facebook fundraiser has been started to help cover funeral costs for the child. The fundraiser was started by a man who says he's friends with Raydyn's father. The fundraiser says he is "asking family and friends to help a dear friend of mine Casey Jones to come up with expenses to bury his son." The family said the funeral will be at 3 p.m. Sunday, March 24 at Broussards in Kountze. The 18-month-old will be laid to rest in Williams Cemetary in Warren, Texas.